Sydney Landscape Consultants is led by Craig Kenworthy RH, a qualified Registered Horticulturalist, who brings 33+ years of experience to every project. 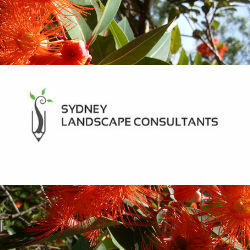 Sydney Landscape Consultants is a professional Arboricultural and landscape company, which has been operating since 1994 throughout the Eastern Suburbs, Greater Sydney and Illawarra. We work with Sydney residents and home builders to provide landscape design, Arboriculture and consultation services, for people seeking preparation of their council Development Applications. Our highly experienced team offer a range of professional services including Landscape CAD Designs, Garden Designs, Tree Reports (Arborist Reports) Tree Management, Arboricultural Impact Assessments and landscape specifications for DA submissions and installations. Areas we service include Ryde, Sutherland, Double Bay, Maroubra, Blagownie, Woollahra , Botany, Frenchs Forest , Kiama, Katoomba, Leura, Kirrawee, Engadine & Gymea.